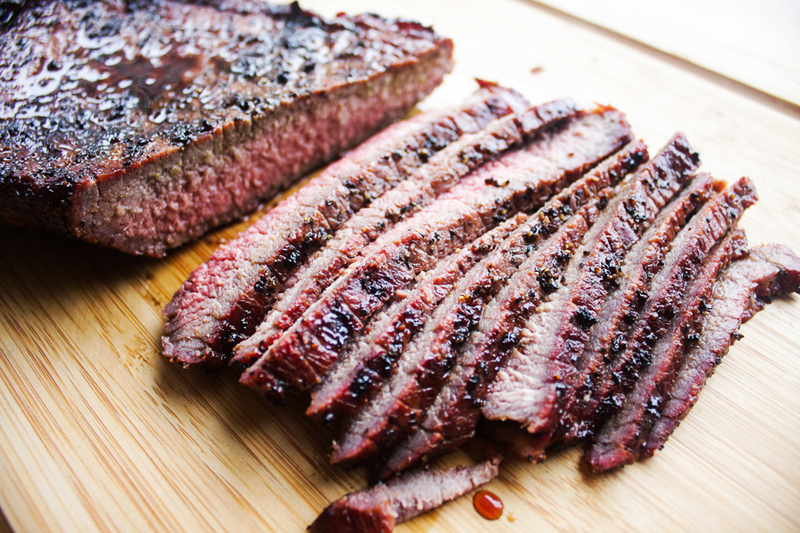 Try not to skip the step about cutting the london broil into thin strips. 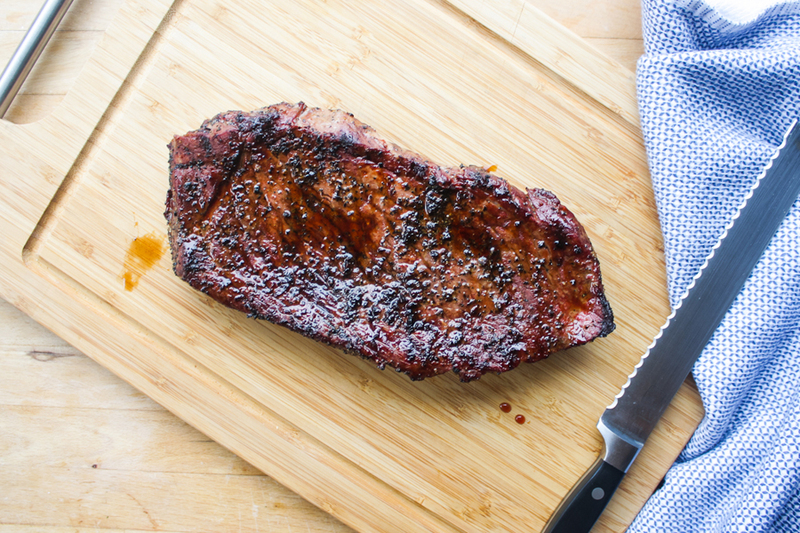 You may think, "Wow that's a good looking steak right there. I'm sure it's fine to eat like a ribeye." Well madam, I would not steer you in the wrong direction, but I will have a shoulder to cry on when your jaw is in pain from chewing because you didn't take my advice. 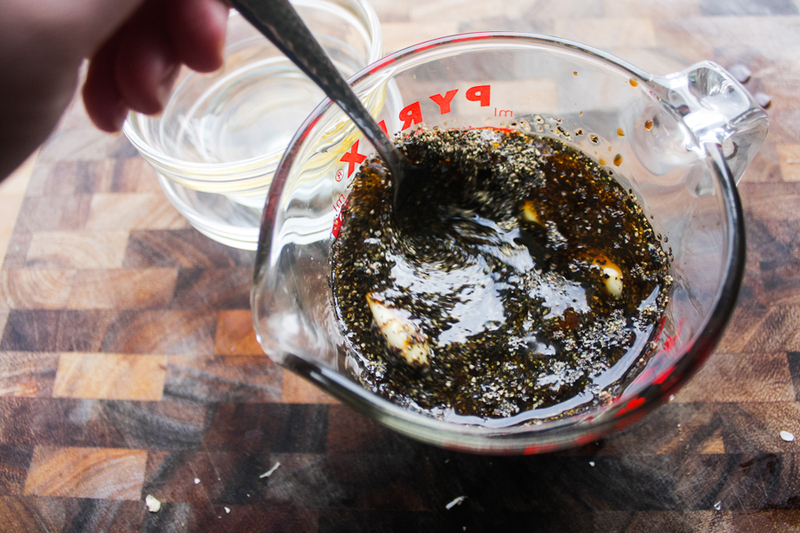 Combine soy sauce, sesame oil, crushed garlic and black pepper. 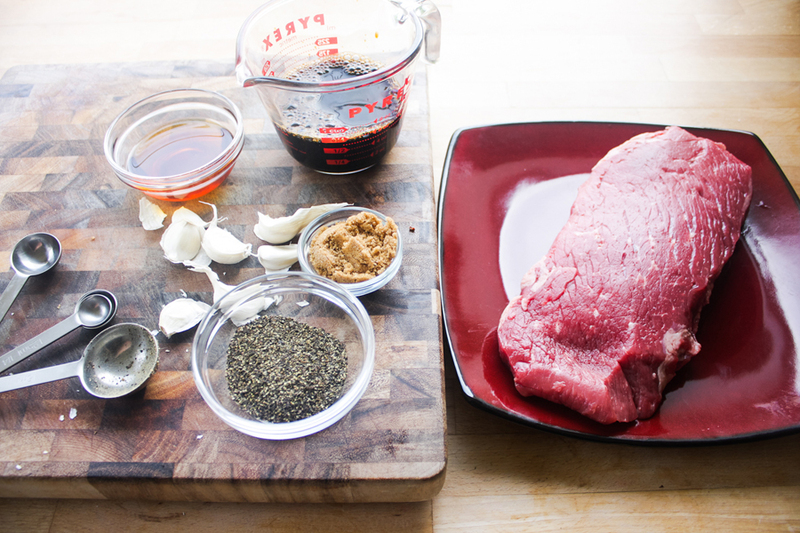 Pour marinade over the beef, preferably in a ziploc bag, and leave in the fridge at least 4 hours, up to overnight. 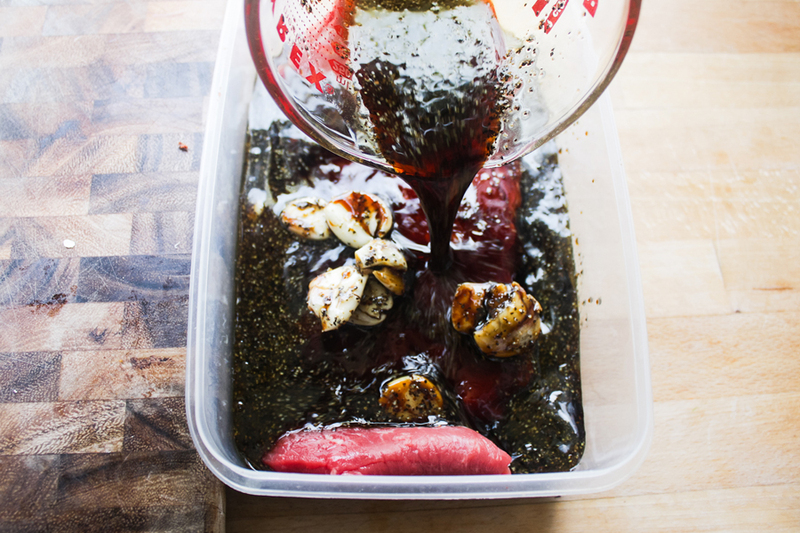 Shake off excess marinade and directly grill on the grate above the coals that are about medium heat. Sear for 4 minutes per side to get a medium cook, or until desired temperature. 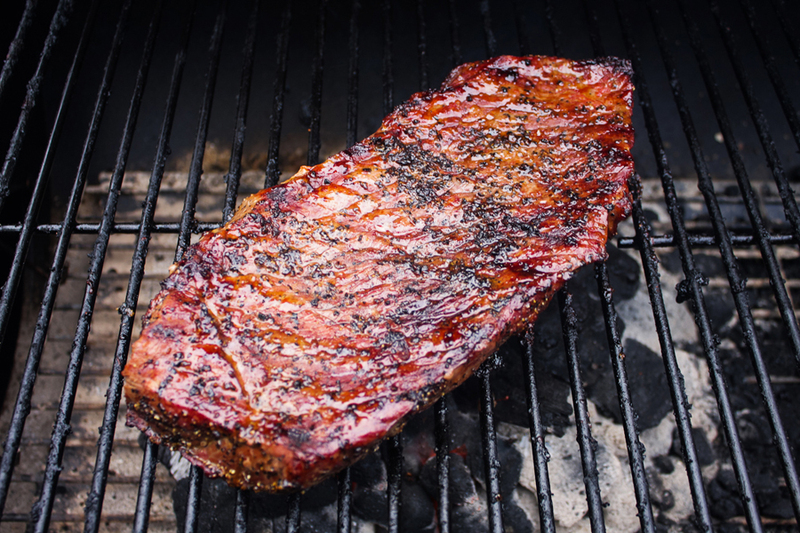 Let the london broil rest for about 5-10 minutes, then slice into very thin strips across the grain of the beef. Last post we made a london broil. Now, I'm going to show you what I did with that juicy piece of meat. Spring rolls, aka fresh rolls, are one of my favorite things to eat. Next to Korean BBQ, I would label this meal as a favorite runner up. Oh and that's right: I make this into a meal. I know you normally see these as appetizers but I make these into the main course. And just like with k-bbq, I can make this into a social gathering by doubling ... ok tripling, because that's how I do ... the ingredients and adding things like chicken, tofu, avocado, bean sprouts, and noodles. Everybody wins because they can make their own roll just to their liking. But when I'm just making this for a few mouths or a solo meal, I'll stick to something a little more simple and pre wrap the rolls before sitting down to some quality binge watching.